Setting goals for the New Year | Things Engraved Inc. Though it’s common to ring in the New Year by making resolutions for the year, it’s far less popular to set goals for the next 12 months. Resolutions and goals might be similar, but they’re not exactly the same. When setting goals, men and women are attempting to develop a plan for the year ahead with the intent of being in a better place in 365 days. Successful resolutions are typically far less encompassing. While resolutions are goal-oriented, men and women often make just one resolution that does not require a plan or much dedication. For instance, a goal of being more financially secure will require a plan that must be implemented for it to be a success. A resolution to quit smoking might involve some advice from health professionals, but in general it’s up to the individual to simply stop smoking. 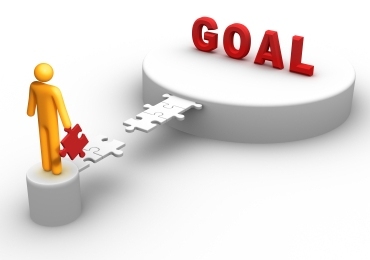 Goal setting is more involved, more action-oriented and often more successful. Do you want to try setting a goal this year instead of “just” a resolution? When setting goals for the next 12 months, consider the following tips. * Brainstorm some ideas. Goals should pertain to all aspects of life, from career goals to personal goals to anything you want to accomplish around the house. Before setting any goals, brainstorm as many ideas as possible for each area of your life. Write these ideas down, no matter how big or small they might be — even though you might not decide to pursue each and every goal you come up with. The purpose of this is just to get some ideas flowing and to use those ideas as a foundation. If two or more ideas are similar, such as losing weight and eating healthier, then you can combine those later on and make them one goal to simply be healthier a year from now. * Rank goals by their importance to you. Goals will have varying degrees of importance, and this can help you to rank them by which ones you feel are most important. This doesn’t mean you can’t accomplish each goal on your list. But prioritizing goals can make it easier to accomplish them. A good approach to take is to accomplish a high-priority goal, then reward yourself by tackling a more lighthearted goal that’s less of a priority. For instance, if one of your biggest priorities is to install new siding on the house and you accomplish this goal, then reward yourself by next working on one of your more fun-oriented goals, such as visiting a water park or attending a ballgame. Such a balance and reward system can provide motivation and make for a fun and productive year to boot. * Establish a time frame. When setting goals with no time frame in mind, it’s easy to procrastinate and downplay the significance of the goals. When setting goals, establish a time frame to increase your chances of being successful. For instance, if you have a goal to save X amount of money over the next 12 months, give yourself monthly savings markers to meet. This can help keep you on schedule and ensure you will achieve your goal come the end of the year. * Give yourself progress reports. As the year goes on, periodically assess your progress. You might realize some goals have become bigger priorities while others are no longer as important, and that’s perfectly alright. But once you have passed the planning stage and started to pursue a goal, track your progress and stay the course if it’s going well. If not, reconsider your plan and decide if it’s best to lay out another course of action. Setting goals for the year ahead is a great way to ensure the next 12 months will be productive and fruitful. GOALS are more successful than RESOLUTIONS for many people. Are you setting goals or making resolutions this new year’s? Tell us on Facebook.